Facebook has announced that its Dating platform is now available in Canada. Canada is the first country in North America to gain access to the service. 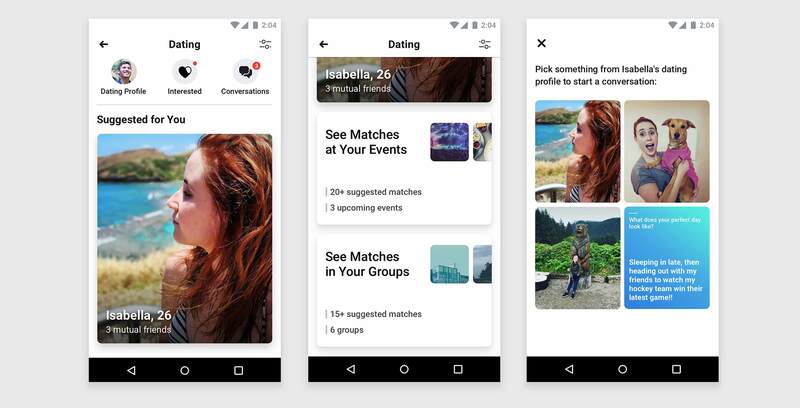 Revealed back at Facebook’s F8 Developer Conference in May, the Dating service aims to give users a wide variety of tools to find matches. Specifically, Facebook Dating aims to leverage all of a Facebook user’s preferences, interests and activities to better connect them with relevant matches. To start, Dating will be offered for free in a separate dedicated space on Facebook so that dating activities won’t be displayed in the regular News Feed. This means that Dating profiles will only be visible to suggested matches, as well as those to whom users are suggested. That said, users can choose to opt-in to Events and Groups to see other daters who have opted in. Further, users will be able to choose to include or hide friends of friends in their pool of suggested matches. For more options, Facebook says anyone who is blocked will no longer be able to view a user’s profile in either Dating or the main app. Interactive profile content — users can select specific tidbits from a profile to prompt conversations with one another, such as a shared hometown or school. Pause matching — users can turn off matching to temporarily shut off incoming suggested matches and take a break from Dating. Their profiles will also not be suggested to anyone else as long as this setting is turned on. However, conversations with matches that were already started before using this feature can still continue. Second Look — users can go back re-review matches that they may have passed on, listed in reverse-chronological order. Given that there are 2.27 billion monthly active Facebook users, the social media giant intends for its dating platform to find a large audience. Specifically, there are over 200 million people who have set their relationship status to ‘single’ on Facebook, according to Charmaine Hung, technical program manager for Facebook Dating. “We view [Dating] as an incredible opportunity to continue helping people build relationships in meaningful ways on Facebook,” Hung added in a press statement.